WILMINGTON, NC (WECT) - Happy Saturday, friends! 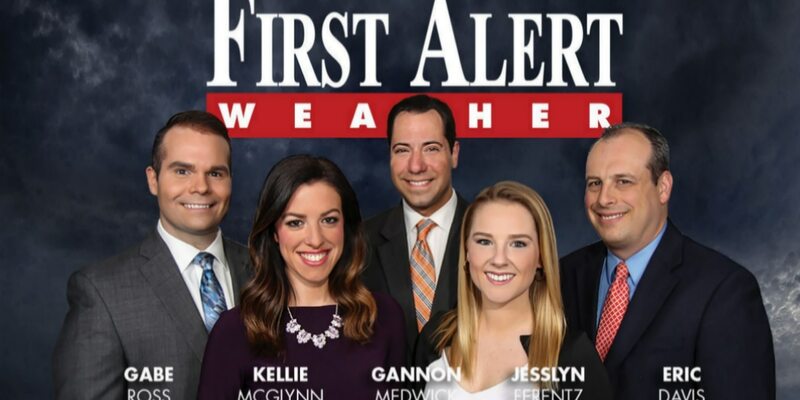 Thanks for checking in on your First Alert forecast. A weakened front will bring along clouds and passing showers both Saturday and Sunday-- some of which could be strong to severe. 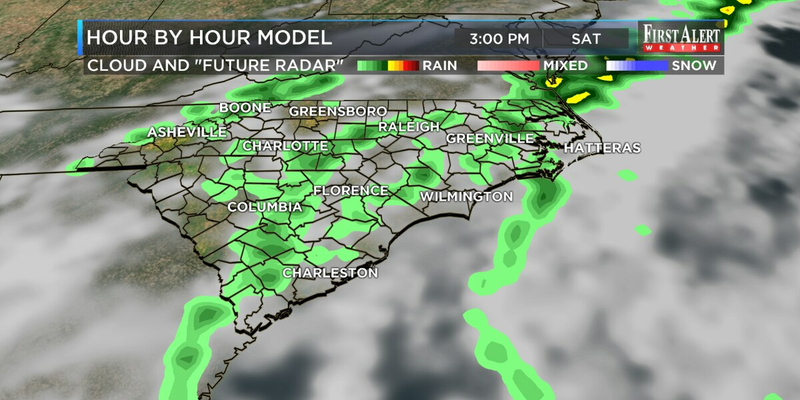 Overall, the unsettled weather shouldn’t inspire you to cancel any weekend plans, but a good tool to have will be your WECT mobile weather app, and an umbrella, to be safe. 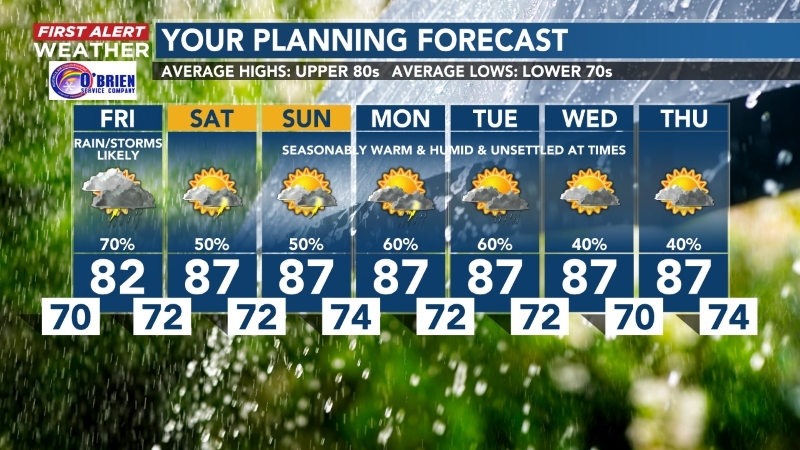 - Saturday and Sunday... will not be washout days, but be prepared for spotty showers and isolated storms amid southerly winds. Daily highs will strive for the summery upper 70 and lower 80s. Odds for precipitation both days: 30%-40%. 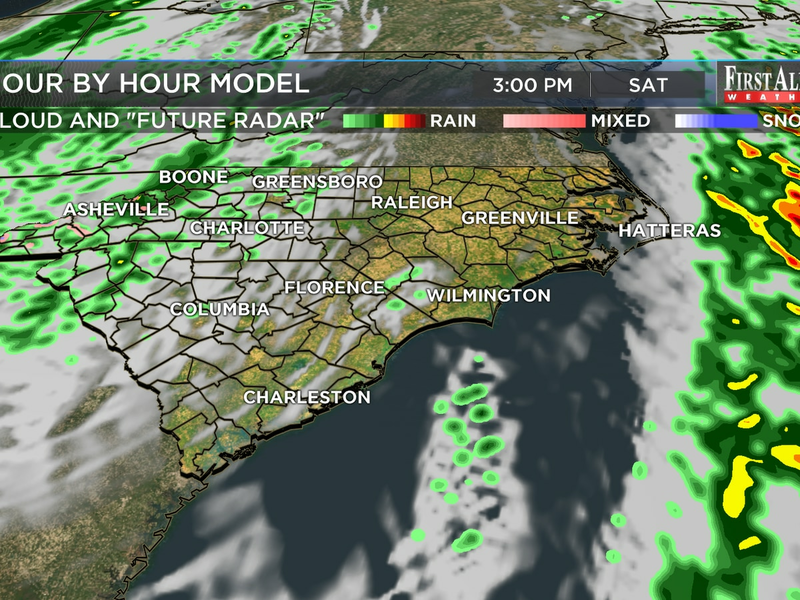 Expect a brief lull in showers and storms Saturday night. The Storm Prediction Center carries a marginal risk of severe weather for inland zones. 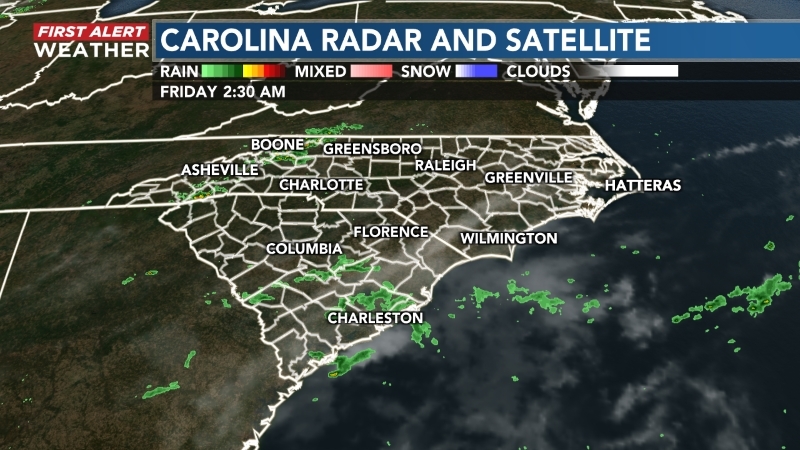 - Another wave of precipitation... is expected to brush through Sunday night into Monday morning which odds for showers and isolated storms will jump up to 50-70% before gradually wrapping up into the afternoon. All areas of southeastern North Carolina carries a marginal risk of severe weather Sunday night and Monday.